in this industry, if you don’t have the right record it doesn’t matter who you are. 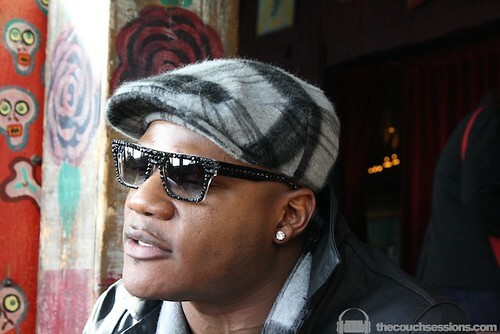 The name, Sean Garrett may not be that familiar, however, the artists that he’s worked with most certainly are: Beyonce, Nicky Minaj, Mario, Ludacris, Usher, Chris Brown, Fergie, and Whitney Houston just to name a few. Garrett has slowly cemented himself as the “go-to” songwriter and producer in the industry, and his track record is rather extraordinary. In addition to Usher’s “Yeah,” he’s crafted Bey’s “Upgrade U,” “Diva,” and “Get Me Bodied,” Fergies, “London Bridge,” and Mario’s “Break Up,” and they have all been industry and radio hits. As Garrett preps for the release of his debut album we caught up with him at BMI’s “How I Wrote That Song,” event at the House of Blues in Hollywood during Grammy weekend. Coincidentally, Garrett was up for two Grammys as a songwriter and a producer. Check it. Are you excited About Grammys? Yes. I think during my first win and my first nomination in 2005, I didn’t really take the Grammys seriously. I didn’t think I appreciated it the way I do now because my adrenaline was so crazy at that time. But I’m learning to really appreciate it every day. Being nominated for album of the year and as a producer is really really big. I’m excited. In Hip-Hop and modern R&B, there seems to be a lot of credit given to the producer and the artist. You were able to make your name as a songwriter as well. How were you able to break out as a songwriter and how has that helped you in your career? Every year, people are beginning to appreciate me as a force. It’s not just like “oh yeah, he had a hit.” When you [produce hits] time and time again people listen. I think people are just now recognizing just how difficult it is, because in this industry, if you don’t have the right record it doesn’t matter who you are. You know, as the years go you start to realize how valuable songwriting is the the music, and I’m very proud to be a songwriter and producer. Just yesterday I was at the [Hollywood Walk of Fame Star Unveiling] for Roy Orbison. His wife requested me to come, and that was just a huge honor. I was floored because first of all, I wasn’t in it when Roy was living, he was a world renowned rock and roller and songwriter, and to be among the greats–Yoko Ono, Dan Akroyd, the Eagles–it was a big opportunity for me. At the end of the day, I’m just a young brother from Atlanta, Georgia, I represent my brothers and sisters from around the world. I’m still humble enough to look at my people and let them know that I’m approachable, that I’m not untouchable, and that I still can always relate. I have to dumb things down, so that everyone can take a look and every one can understand. Once they know, then they can start to take a deeper look. Your library of hits is impressive. You have been involved in 17 #1 singles. How were you able to achieve these heights in your career? I think what’s so beautiful about that is that I AM a singer/songwriter. My career is really beginning. My blueprint is progressive. I just feel proud to be so much more dynamic than my peers, in different ways. I’ve been able to go outside of what I’m expected to do. It’s not all just R&B. I mean, we’ve done work with D’Milo, which was one of the biggest Latin records in Billboard History, and London Bridge with Fergie. [It comes from] not being afraid of going to the other side and showing people what we are made of. What should we expect from your solo album? I’ve found something to be really really interesting as a new artist is that you have to dumb everything down. You got to give people the opportunity to get to know you. Some of my fans and friends are expecting me to do Thriller II, but at the same time I’ve learned that I have to dumb things down, so that everyone can take a look and every one can understand. Once they know, then they can start to take a deeper look. I just got off tour with Lil Wayne, and it was actually a blessing, and I’m about to announce a label deal real soon. A lot of people say that today’s music is not as good as the ones being produced in previous generations. As a dude who is at the forefront of the industry, how do you feel about that? This is my culture. My generation. I don’t think that people should start making comments about my generation of people, saying that “we don’t make real music anymore.” Part of that is the older people’s fault because they don’t realize what this generation is about, but at the same time I have a responsibility to keep it quality, and I think what’s quality for us, the young kids, is staying dynamic, and we were able to do a record like “Diva” on Beyonce’s Sasha Fierce, or “Breakup,” a record that the labels didn’t think was a smash, and we pushed them to be more creative. We showed them how to take a track with Gucci in it, and create a song that’s so catchy, and so relateable that every person where you’re from and where I’m from can relate to it. 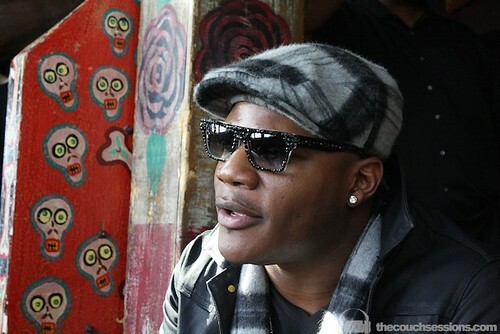 Sean Garrett can be heard on Mario’s hit single “Break Up,” and will be releasing his debut album this year.